Fonda San Miguel is recognized as one of the finest interior Mexican restaurants in the country, having garnered national and international attention for more than 35 years. Chef Miguel Ravago’s menu of classic regional Mexican cuisine prepared with authentic recipes and ingredients has made the menu offerings and the Sunday Hacienda Brunch Buffet legendary. 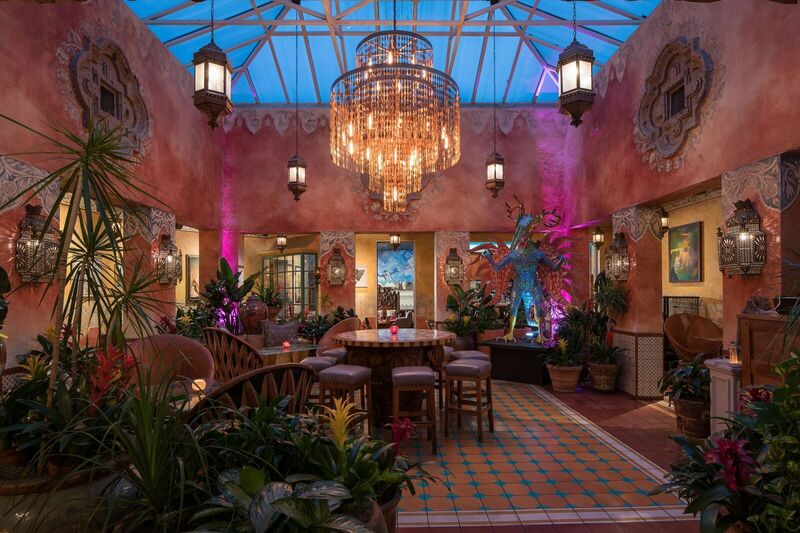 Considered by many as “Austin’s most beautiful restaurant,” owner Tom Gilliland’s collection of museum-quality artwork, exotic plants, and international décor complete the exquisite dining experience. The restaurant pioneered “interior Mexican” cuisine in the U.S. being one of the first in the nation to introduce the full-flavored and more complex specialties from Mexico’s interior regions. Fonda San Miguel is a celebration of this distinctive cuisine, its colorful history, and the transforming influence it has had on Mexican restaurants across the country, where culinary connoisseurs, art lovers, visiting celebrities, and guests of the local Mexican consulate all come to partake and enjoy.